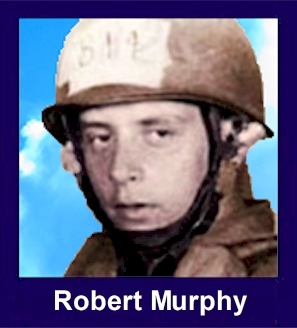 The 35th Infantry Regiment Association salutes our fallen brother, SP4 Robert L. Murphy, who died in the service of his country on May 22nd, 1967 in Quang Ngai Province, Vietnam. The cause of death was listed as Small Arms/AW. At the time of his death Robert was 20 years of age. He was from Madison, New Jersey. Robert is honored on the Vietnam Veterans Memorial at Panel 20E, Line 85. The decorations earned by SP4 Robert L. Murphy include: the Combat Infantryman Badge, the Parachute Badge, the Bronze Star with V, the Purple Heart, the National Defense Service Medal, the Vietnam Service Medal, the Vietnam Campaign Medal and the Vietnam Cross of Gallantry with Palm Unit Citation. The following is a hometown newspaper article and an obituary about Robert L. Murphy. A note of clarification is needed. Many official records give his hometown as Madison, NJ (which is located in Morris County). Actually Robert was from Madison Township (Middlesex County), NJ. Madison Township has since been renamed Old Bridge Township. This is probably in response to continued confusion between the town of Madison and the Township of Madison. They lie approximately 50 miles apart. In the both articles below (from the E. Brunswick Sentinel-Spokesman of June 7, 1967) note that the "header" is Madison. It is with sick hearts that one reads of our losses in Vietnam. With increasing frequency, stories of boys being flown home for burial have local date lines. These soldiers were really only boys, but they proved they were all men, the hard way. Last week, Madison Township lost a son, 20 year old Spec. 4 Robert L. Murphy of 224 Green St., killed in combat. How does one adequately express the sincere sympathy felt for the parents of these young men? Do the words of strangers accomplish anything at a time such as this? Perhaps a mass of outpouring of sympathy would in some way demonstrate that we all share in the bereavement of the family? Mr. Mayor, why don't you declare a day one of our brave young men is flown home for burial as an official mourning day, and direct all municipal buildings to put their flags at half- mast? Why don't we citizens of Madison Township fly our flags at half-mast also? What a slight token of our gratitude to these marvelous men who faced the responsibilities and duties of being American Citizens with all the vigor and pride that was theirs to give! Madison Spec. 4, Robert l. Murphy, 20, 224 Green St., was killed in combat in Vietnam last week. He had been serving with the 25th Army Infantry Division in Vietnam since Aug 1, 1966. He is survived by his parents, James J. and Adelaide Buttcher Murphy, a brother, James A. Murphy, of Morganville (NJ) and a maternal Grandmother, Mrs. Margaret Buttcher of Old Bridge. A high requiem mass will be held Friday at 9:30 am at St. Thomas R.C. Church, Old Bridge. Interment will follow with full military honors at the family plot in Chestnut Hill Cemetery in Old Bridge.